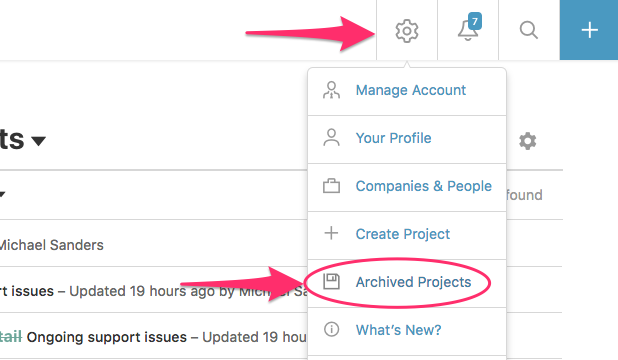 If you're a project or account admin, head to the project's dashboard, then click on the Project Settings icon and choose Project Settings. On the Project Settings panel, scroll to the Remove this Project section. Choose Archive Project or Delete Project and then click the Save Changes button. If you'd like to re-activate an archived project, click the Global Settings icon on the upper-right, then click Archived Projects. Then, find the archived project and click Activate. You can also delete the project completely as well.